Canem Auto Gallery is a leading luxury used car dealership in Kelowna engaged in the sale of well-maintained used vehicles from Audi, BMW, Mercedes-Benz available in various models. Have a look! 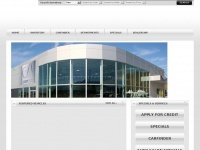 The websites creator or author is Canem Auto. Copyright Canem Auto. All rights reserved is the owner of the copyright for this website. four profiles were found for Canemauto.ca in social networks. Among other social networks the website is represented in Facebook, Twitter, GooglePlus and LinkedIn. The web server used by Canemauto.ca is run by ColoCrossing and is located in Buffalo, USA. This web server runs 6 other websites, their language is mostly english. A Nginx server hosts the websites of Canemauto.ca. The website uses the latest markup standard HTML 5. Indexing the data of the website and following hyperlinks on it is explicitly allowed by robot information.